Impregnation which intensifies colour shades extremely well. Especially suited for colour enhancement of dark and black stone. 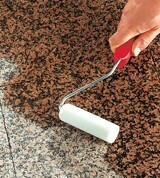 Weather-resistant product with a long-term effect for indoors and outdoors. Damaged areas (e.g. hairline cracks) can be treated. The surface thus obtains a homogeneous appearance. 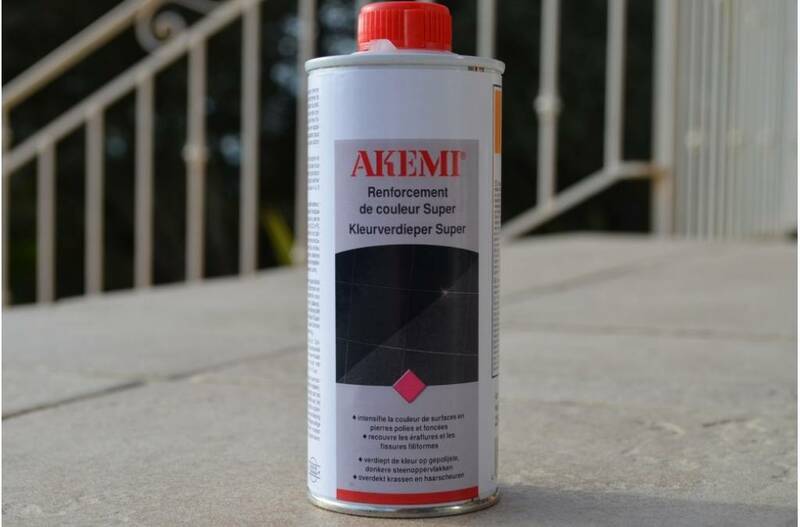 Especially suited for fine ground and polished stones Darkener Super is a ready to use, solvent-based, special impregnation containing reactive modified siloxanes. It is absorbed by the pores through the capillary forces of the stone. A polysiloxane results from the catalytic reaction. In addition, a reaction with the siliceous substance of the stone takes place. 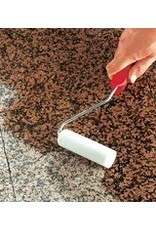 The product is distinguished by the following qualities: intensifies the natural color and structure of fine ground and polished stones, maintains the lustre of the polish, does not form a layer on the surface of the stone, allows the stone to breathe, excellent weather resistance and durability, non-yellowing, no odor nuisance during application, for indoor and outdoor use, prolonged working time, water and dirt resistant effect. 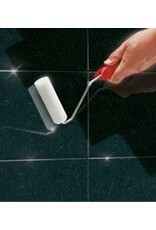 Field of Application: For the treatment of fine ground and polished absorbent natural and cast stones, e.g. marble, slate, Solnhofer lime stone, sandstone, granite, gneis or concrete ashlar. 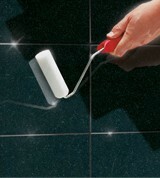 The product is especially suited for dark and black absorbent stones (e.g. Nero Assoluto, Impala black, Galaxy and Zimbabwe black). Damaged areas (e.g. 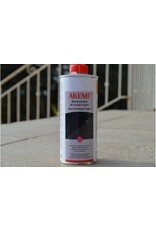 hairline cracks) can be treated with AKEMI Darkener Super. The surface thus obtains a homogeneous appearance. There is a very good durability of colour enhancement on silicate based stones and a good durability of colour enhancement on lime-based stones.